The most popular marine activity in Bali is the Parasailing Ride. Although in Bali several water sites are located, in Tanjung Benoa Beach Nusa Dua, the best place to parasail is in Bali. If no weather barriers, you will see many colorful parachutes flying over the Nusa Dua beach of Tanjung Benoa. Most travelers are ignorant of two types of parasailing rides in Tanjung Benoa Nusa Dua. 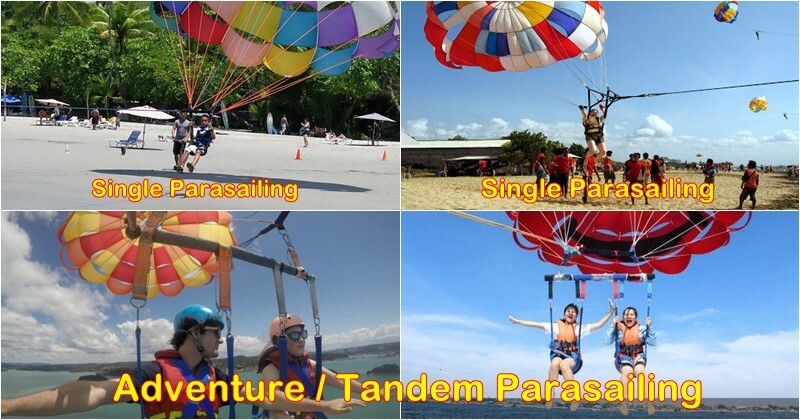 There are single parasailing and tandem parasailing activities well – known as Adventure Bali parasailing .. The marine recreation of Tanjung Benoa will wonder for those who never tried! How do you differ from a single Parasailing VS Parasailing adventure in Bali? If you’re asking the same question, what are the differences between a parasailing single VS Parasiling adventure in Tanjung Benoa Bali? Read this page, please continue to read.